Hales is pleased to announce Same Dream, Omar Ba's first institutional solo exhibition, at The Power Plant Contemporary Art Gallery, Toronto. Omar Ba’s work engages with some of the most urgent issues of our time: the growing inequality of wealth and power globally, questions around immigration, and our changing relationship with the natural world. 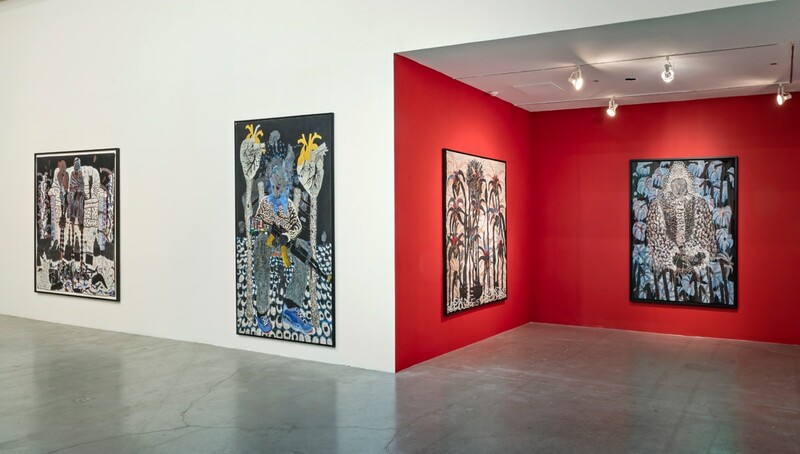 His penchant for depicting personal narratives alongside collective ones speaks to the “in-between” condition of his work, as he splits his time between Dakar, Senegal and Geneva, Switzerland, and blends the visual texture of both places through his practice. 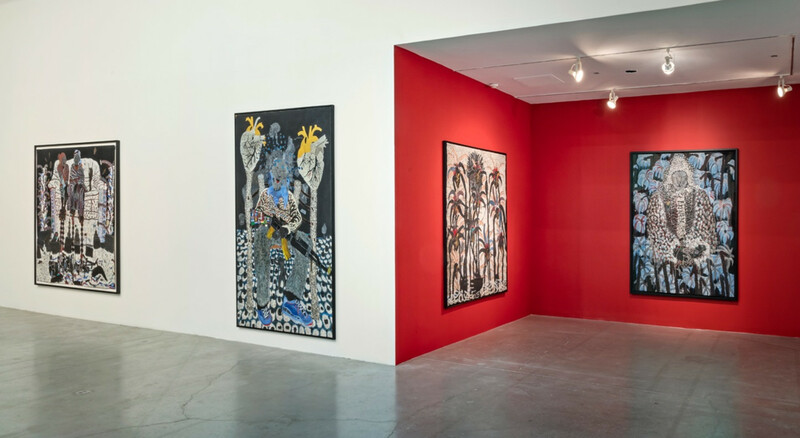 Ba draws from and intertwines a range of elements— the historical and contemporary, figurative and abstract imagery—from African and European cultures, and the techniques and tools he employs; including corrugated cardboard and canvas, paintbrushes and his hands. Additionally, Ba’s chosen materials are typically selected from his immediate surroundings and repurposed in creative ways. He prepares his surfaces—whether cardboard, canvas or wall—with a black ground, upon which he layers a vivid palette dominated by primary colours. His paintings teem with details as micro-worlds transpire within larger constellations, oscillating between bold planes of colour and intricate outlines, which unravel across their surfaces. The figures and forms portrayed are largely symbolic, referring not to specific individuals, but rather open to universal narratives. The artist will be in conversation with Associate Curator Nabila Abdel Nabi as part of The Power Plant's public programs on Saturday 26 January, 1pm. The two will discuss the evolution of his work and expand on the exhibition themes of the human spirit and the shared dreams and desires for the future.